Can I use the leftover bacon drippings to make flour tortillas? Up until last week my response was always a bit cautious, as if those tortillas would be second rate to our other Flour Tortillas recipe that uses home rendered lard as the cooking fat. And also a little concerned they might taste too much like bacon. But after getting another question about it a couple weeks ago I finally set aside some time to try it — and I’m glad I did! 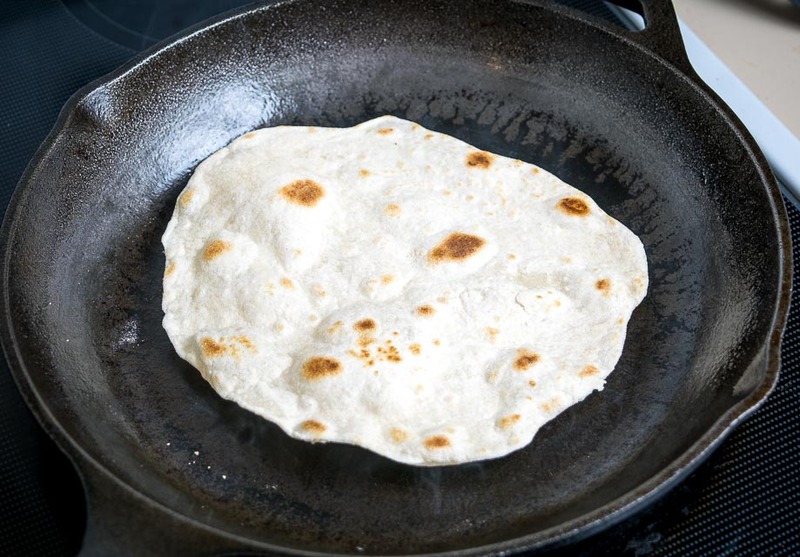 For reference, traditional flour tortillas are made using lard. And in particular, lard rendered from pork back fat. And since I’m not a fan of hydrogenated, shelf-safe lard I will usually render my own at home. You can see how to do that here. Flour tortillas made with home-rendered lard are incredibly satisfying and that’s probably why I’m skeptical about flour tortillas made with leftover bacon fat. I mean…will that even work? So for the past week I’ve been eating lots of bacon and straining the drippings into a Mason jar. 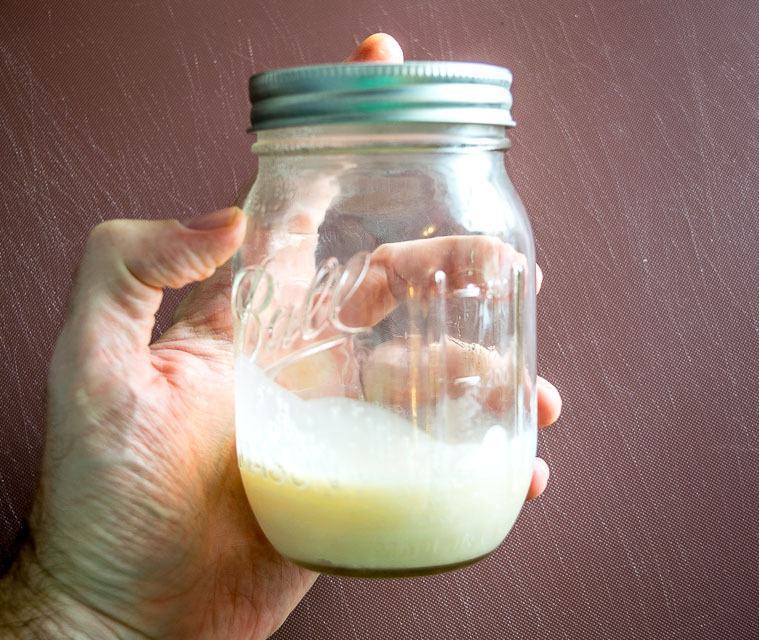 I usually put a small strainer on top and pour the drippings directly into the jar. The above pic is the leftover grease from a single pound of bacon (accumulated over a few days) that I’ve been keeping in the fridge. I’ll be using our original flour tortilla recipe but with the addition of a bit more fat because I feel like bacon drippings are less concentrated than home-rendered lard. 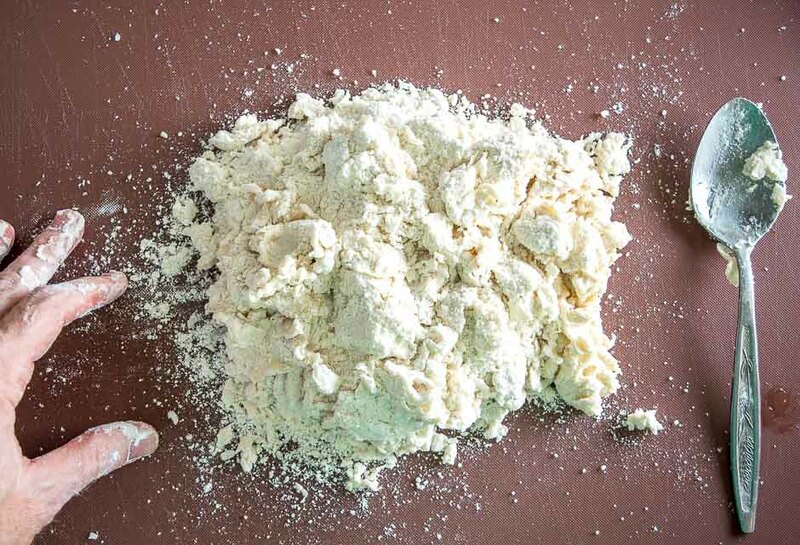 To make the tortillas, we’ll start by adding 1.5 teaspoons of salt to 3 cups of all-purpose flour and combining well. Then add 4 tablespoons of the bacon fat (1/4 cup). I usually just use my hands to incorporate the fat into the flour, crumbling it into bits and coating it with the flour. Then we’ll add a single cup of warm water and use a spoon or spatula to combine it as much as you can. Dump the shaggy mixture onto a cutting board or work surface. Use your hands to knead this into a cohesive ball. Note: sometimes it can be tricky to get the right consistency but don’t sweat it too much because you are closer than you think! 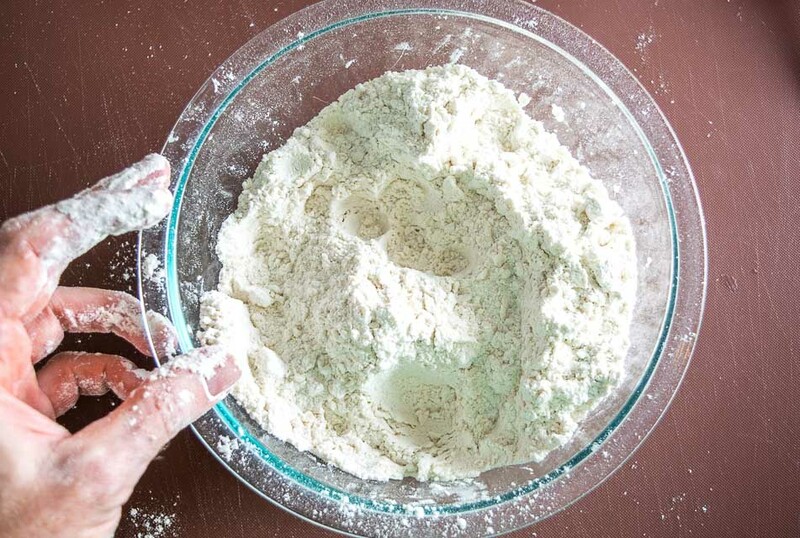 If it’s sticking to your hands then there is a bit too much water — simply add some more pinches of flour to dry it out. Conversely, if it’s not combining into a cohesive ball then it’s too dry and you need to add another splash of water. I usually let this rest anywhere from 30-60 minutes, depending on how hungry I am. This makes it easier to roll out the dough balls. Once rested, simply pull off a golfball sized chunk and give it a quick roll between your hands. This will make a tortilla that is approximately 5-6″ in diameter. I like homemade tortillas best when they are super thin, so I usually roll these out to the point of being transparent. If you’re getting snapback and it’s difficult to roll them out then most likely they need to rest a bit more. And if the dough is sticking to the rolling pin then add a light dusting of flour. And don’t worry about making them into perfect circles — they will taste better if they have unique shapes! Each side will need about 45-60 seconds in a dry skillet to fully cook. I usually cook one at a time and roll out the next one in the meantime. Once you’ve got bubbles forming you know there will be light brown spots on the other side, i.e. it’s time to flip it! You might have to offer up a couple sacrifices before you get the temp right on your stove. The ideal setting on my stove is halfway between medium and medium-high. This creates brown spots in about 45 seconds. If it’s taking significantly longer to get brown spots then your heat is too low. If you’re getting black spots quickly then your heat is too high. Every stove and pan combo has a sweet spot so don’t worry if it takes a couple tries to find the right settings for your combo. And don’t forget, it’s always best to do some taste testing along the way! 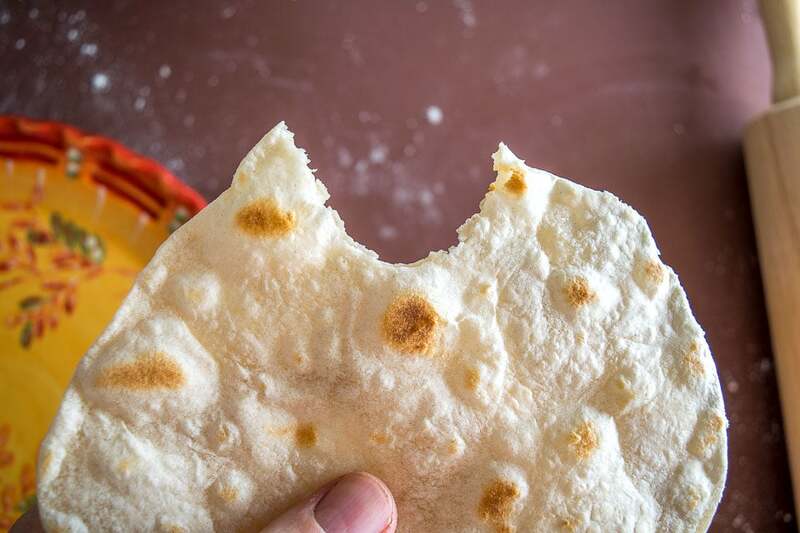 If you’ve got a thin, light, delicious tortilla on your hands then you’ll know you’ve found the sweet spot. 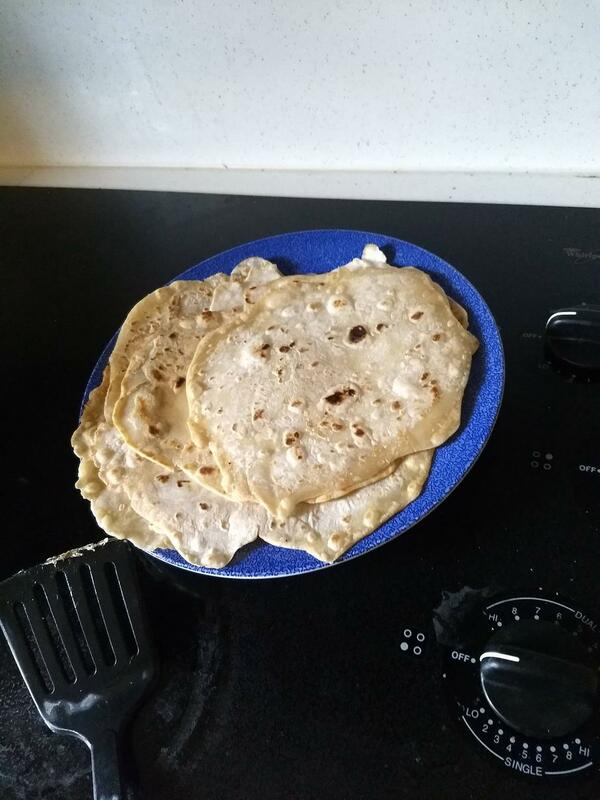 I have to admit, after all of my skepticism, these were some incredibly satisfying flour tortillas and they were easily on the same level as the ones made with home-rendered lard. Thin, light deliciousness without any overwhelming bacon flavor. Actually there wasn’t much bacon flavor at all, just a hint of that bacon savoriness in the background. Maybe bacon drippings aren’t as different from home-rendered lard as I had assumed? Either way I found these to be incredibly rewarding and I’ll give a definite thumbs up the next time someone asks. These tortillas are the perfect size for tacos, but you could also just spread some refried beans and cheese on top for an impromptu meal. Homemade, cooked tortillas won’t last too long so I decided to only make half of this batch and store the rest of the dough in the fridge. I’ve been cooking the tortillas on the fly for the past few days with no downgrade in quality yet. Simply pull off a chunk of dough, let it come to room temp for a few minutes, then roll it out and add it to your pre-heated pan. Awesomeness. Save your bacon drippings! 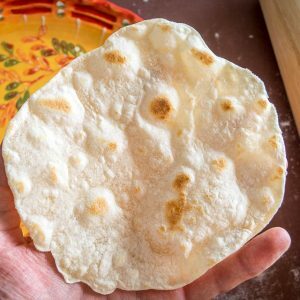 You can make a killer batch of flour tortillas and I think they are on par with tortillas made from home-rendered lard. And let me know if you have any questions about the flour tortilla process — it’s remarkably easy and will instantly upgrade your home kitchen. 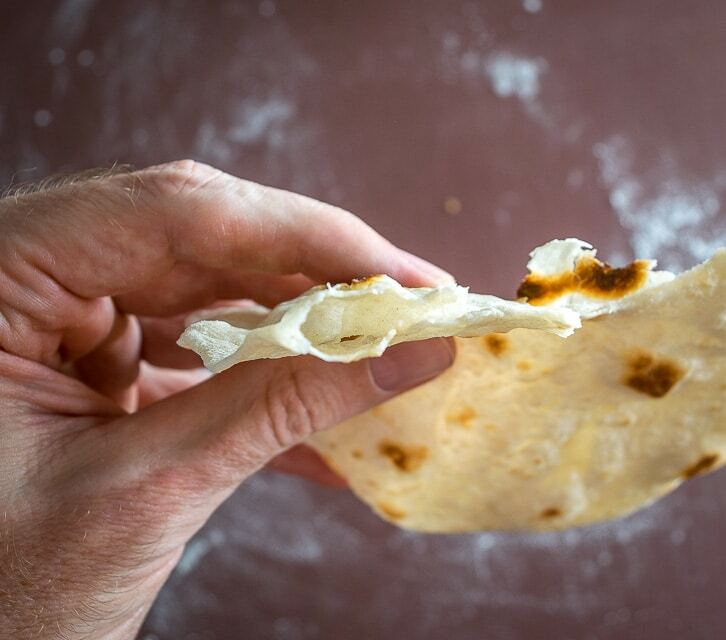 Save those bacon drippings and you can make a scrumptious batch of homemade flour tortillas. It's easy too!! In a mixing bowl, add 1.5 teaspoons of salt to 3 cups of all-purpose flour and combine well. Add 1/4 cup bacon fat to the flour and use your fingers to crumble the fat into the flour mixture. 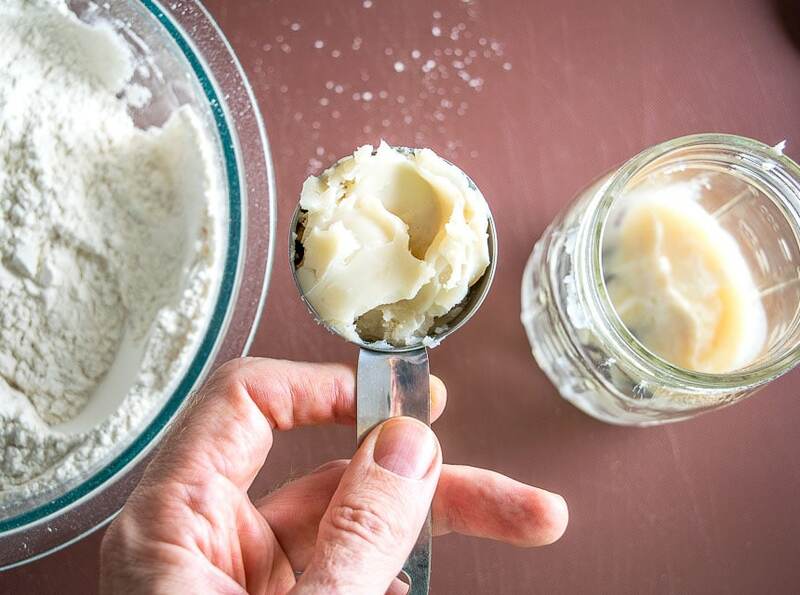 Add 1 cup warm water and stir as much as you can with a spoon or spatula, then dump the mixture onto a flat surface and knead into a cohesive ball using your hands. Let the dough rest for 30-60 minutes. Tear the dough into golfball sized chunks, rolling between your hands to shape them into smooth balls. 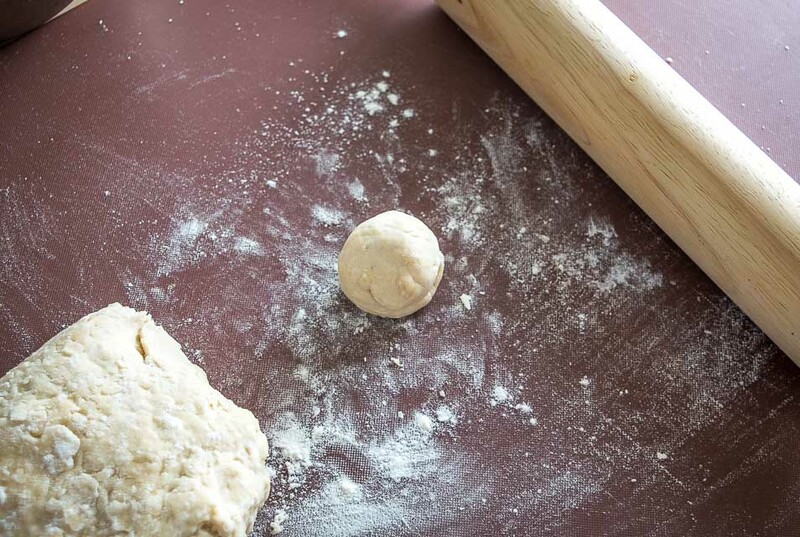 Use a rolling pin to roll the dough balls out to approximately 5-6 inches in diameter. I usually roll them out super thin to the point of being transparent. Preheat a dry skillet or comal. The preferred setting on my stove is halfway between medium and medium-high heat. Add one of the rolled out tortillas and cook each side for 45-60 seconds or until light brown spots are forming. As one tortilla cooks, roll out the next to expedite the process. Serve immediately and store leftovers in the fridge. Alternatively, you can only make as many as you need and store the remaining dough in the fridge where it will keep for a few days. 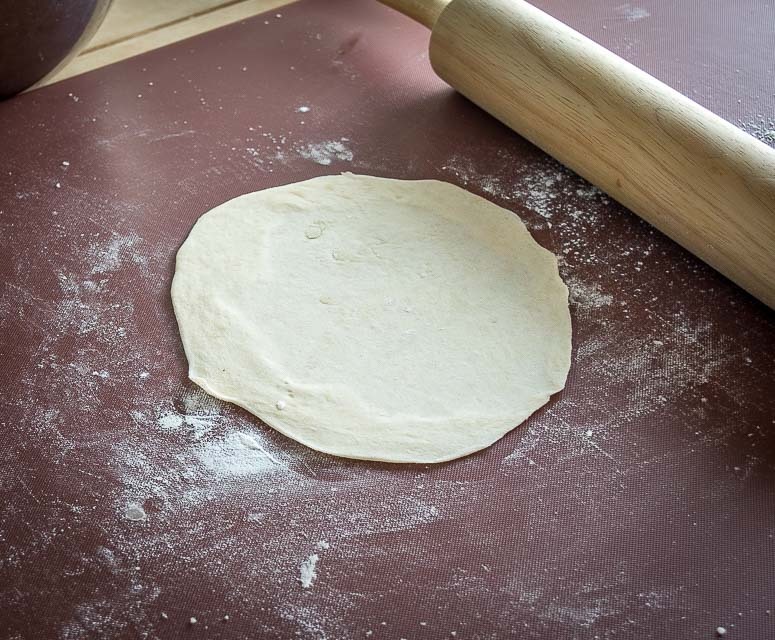 If the tortillas are springing back and not holding their shape as you roll them out, then let the dough (or dough balls) rest for a little longer. It can take a few tries to get the heat of the stove right. If you're quickly getting black spots then your temp is too high. If it's taking a couple minutes to get brown spots then your temp is too low. 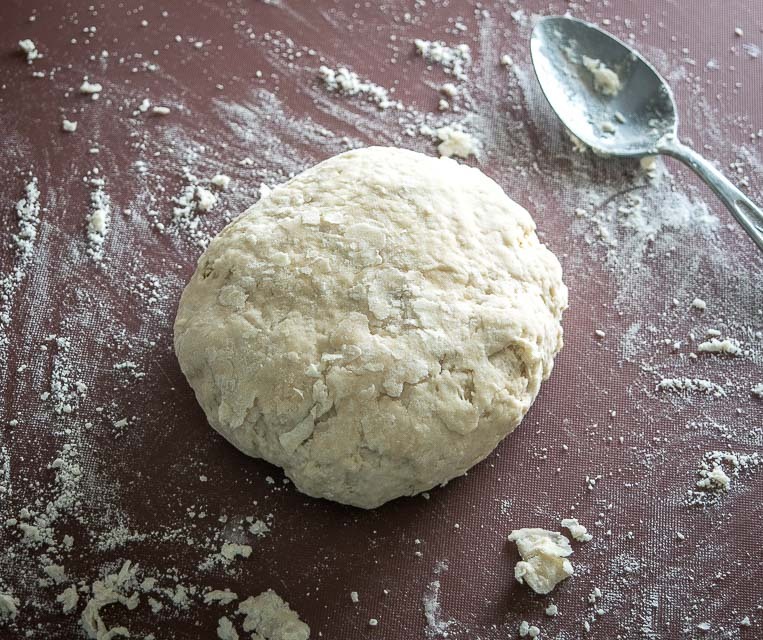 Sometimes it can be tricky to get the dough consistency right when you are kneading it into a ball. If it's sticking to your hands then there is a bit too much water -- simply add some more pinches of flour to dry it out. Conversely, if it's not combining into a cohesive ball then it's too dry and you need to add another splash of water. 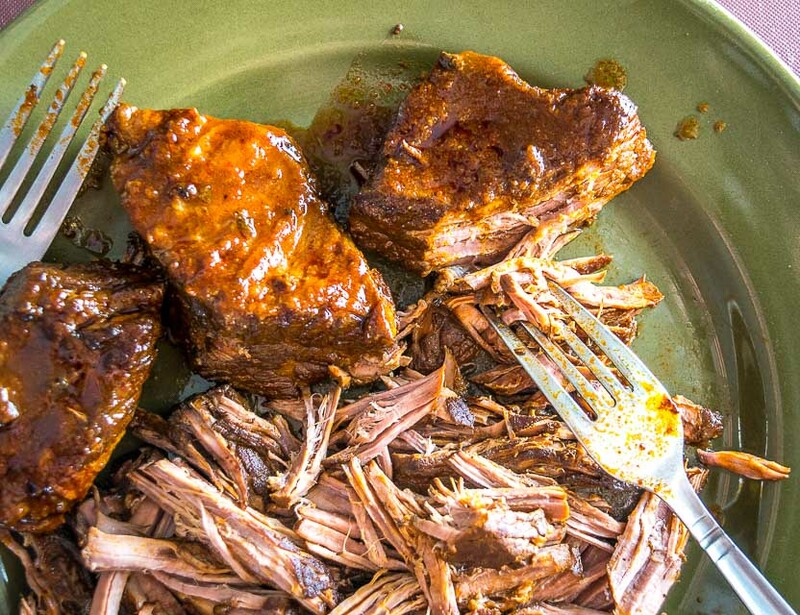 Our latest recipe is a batch of Mexican Shredded Beef. I’ve made tortillas before and struggled with the snapback. I went all out and bought a press and felt defeated. Thanks for the tips. I cannot wait to try them with bacon fat. YUM! Hey Debbie! Yeah the snapback can be annoying but some rest will usually take care of it. 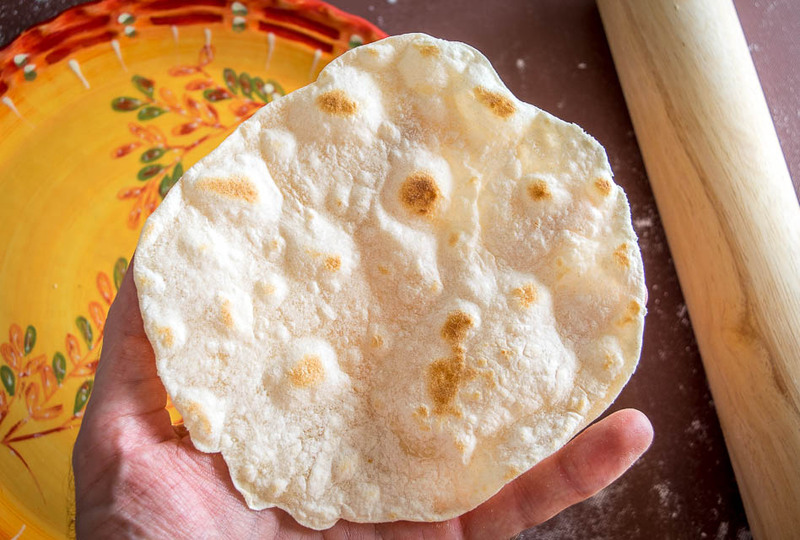 And don’t forget that the tortilla press is designed for corn tortillas and is limited when it comes to flour tortillas — you’ll have much better success using a rolling pin. Cheers. I appreciate the sacrifice you endured, eating all that bacon, just to try ot this recipe. Ha-ha! Seriously, I love the idea of being able to put something we’d normally consider “waste” to good use in another recipe! Very economical! Hey, someone’s gotta do it! Yeah I was the same way, always throwing away that bacon grease, but not anymore! How long will the dough stay good in the fridge? How should you store it before putting in the fridge? Hi Leah, I wrapped it in plastic and foil and stored it in the fridge. I can’t say for sure how long it will last as I ran out after about 4 days — it’s hard to imagine it lasting much longer than that but I would love to be proved wrong. Cheers. Can you substitute gluten free all purpose 1 for1 flour for the flour in this recipe? Hi Sherry, I’m not sure yet! I haven’t tried any of my tortilla recipes with gluten-free flour yet, but I hope to at some point. Hopefully others can chime in with any suggestions. Cheers. Hi Athena! I prefer flour tortillas super thin and adding baking powder will usually make them a bit thicker and fluffier. 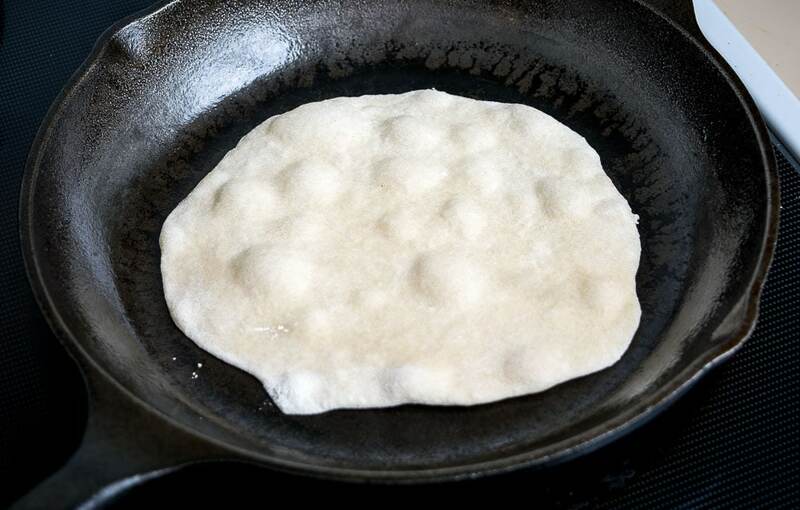 I used to add baking powder to our Olive Oil Flour Tortillas but in general I prefer them without. Your call though. Cheers. Made a batch of these. Came out amazing. Thanks for the recipe.